Design and development of the Isabelle Sogno-Lalloz' website. 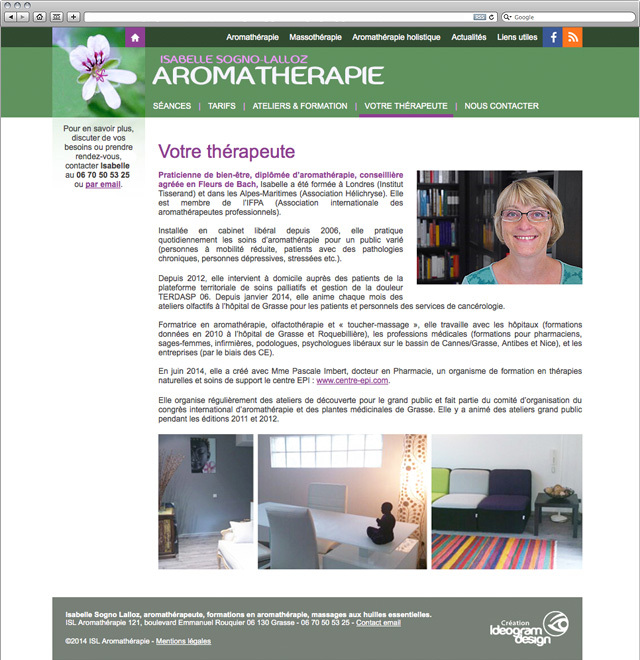 Specialist in aromatherapy, health and essential oils welfare. Friendly and natural approach to your health. 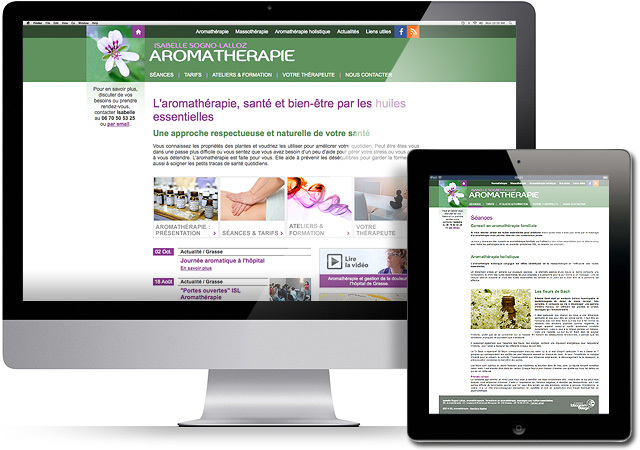 The website mix an original design and our "home" CMS, allowing the customer a perfect management of its content (pages, articles...).